Most novels about a dystopian future have little to do with the real world. They either take place in some post-apocalypse wasteland that has no connection with the present day, or they are old-fashioned visions of far-right totalitarianism on the out-of-date 20th century model. The Identity Wars is very different. 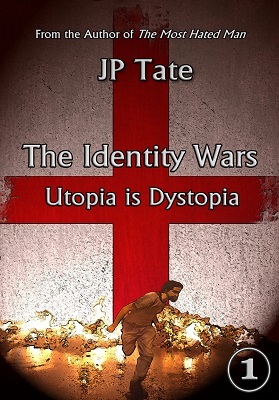 It is a new type of dystopian novel based upon the actual society that we live in today. It portrays a dystopian future which arises directly out of the politics and policies of contemporary society. These two novels are profoundly relevant to the character and events of the society we live in today. Both frightening and intriguingly plausible, they are full of fascinating conjecture about the future of western societies. It is a future that does not seem so very far away when you watch the news and see the civil unrest taking place all over Europe. It is a future that some of us may live to see for ourselves. This is the news from tomorrow. The future is coming. 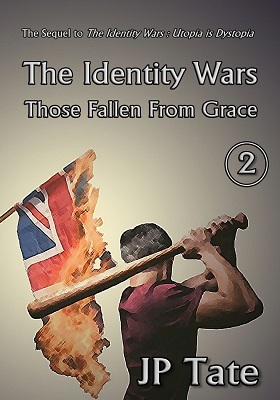 In the second volume of The Identity Wars the author takes his vision of the dystopian future another twenty years beyond the first volume. The year is now 2055. It is a world of nihilistic gangsterism, inter-ethnic violence, religious intolerance, and sexual exploitation in which contrary values fight for dominance. In this story three very different groups of people from three very different cultures are caught up in a desperate chase across the country, racing through a society torn apart by multicultural diversity. A gangster and his two lovers are on the run from the Balkans Mafia who operate in London. With a small fortune in gold jewellery and Yuan-bit, the global Chinese e-currency, the gangster is looking for a place where he can enjoy a safe and hedonistic retirement. Two brothers, both devout Muslims, are in pursuit of the woman who has dishonoured their family. They will hunt her down no matter where she runs or where she hides. They are strong in their faith and resolved to restore their honour even if it costs them their lives. Two troopers from the paramilitary wing of the GenZ are in pursuit of the white child who is travelling with the two Muslims. With no one else to protect her, these two troopers are determined to rescue the child come what may. This three-way pursuit will continue until it reaches its inevitably bloody conclusion. Sooner or later they are going to run out of road. Where will you be in the year 2035? The first volume of The Identity Wars looks twenty years into the future and asks: what will society become? Western society has progressed on its present political course until it reached a societal collapse known as The Rupture. This collapse was caused by three features of the society we live in today. (1) An impending, and much predicted, crash of capitalism causing a major economic breakdown. (2) Multicultural societies becoming ever more divided by their multiple ethnic cultures. (3) The growing gender segregation of men and women, such as the social phenomenon of Men Going Their Own Way (MGTOW), as a result of the iniquities of feminism. The story takes place in the aftermath of The Rupture. It asks, and it answers, the vital question what will happen to a feminist-multiculturalist society under the impact of a global financial meltdown? It is also the story of three men on their fortieth birthdays. The grandfather, Alf Eldridge, who was forty in 1975. The father, Michael Eldridge, who was forty in 2005. The son, Kyle Eldridge a.k.a. Ritzy, who is forty in 2035. Each of them is a product of the culture they live in. Each of them lives in a culture entirely different from the other two. Each of them has a wholly different conception of manhood. Across these three generations, from grandfather to grandson, the world changed radically and dramatically. There will be no going back.